As we welcome in the new year, we also welcome a fresh start full of new and exciting things. And 2018 has already become the year of high expectations. So while we begin to campaign for #Oprah2020, we’re excited to make 2018 the Year of Purple, all thanks to Pantone and their choice for Color of Year: Ultra Violet. The blue-based purple shade is reminiscent of creative powers and artistic confidence, a sprinkling we will gladly take and use in the new year. According to Leatrice Eiseman, executive director of the Pantone Color Institute, Pantone "wanted to pick something that brings hope and an uplifting message,” which is something we can absolutely get behind, no matter the color. And what’s more exciting and new than the actual color choice by Pantone are their new limited-edition home, interiors and fashion color guides. The guides are perfect for inspiration and assistance or if you are simply interested in how gorgeous the color looks with everything. Because we love Ultra Violet so much and can’t wait to see it everywhere, we’ve pulled together our favorite purple-toned pieces for you to fall in love with too! Butter London and Pantone teamed up to make the beauty kit of your purple dreams! Included are a nail lacquer, lip gloss, eye gloss, and eye liner—all in the gorgeous Ultra Violet shade. A retro vibe with a modern twist is always a great way to spice-up your look. A mix of a bold color with a timeless silhouette is sure to have all eyes on you whenever you wear this little number. 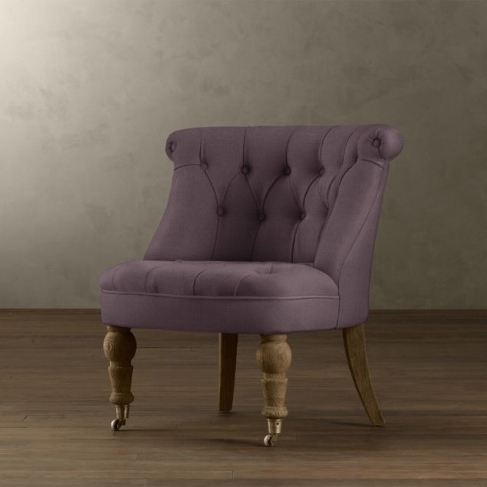 Whether this chair is used as the accent piece of the room or as a subtle addition, it will definitely be a conversation starter. Is being more active one of your resolutions? Start the year off right with this gorgeous FitBit, one that can be easily transitioned from fitness-to-work wear. 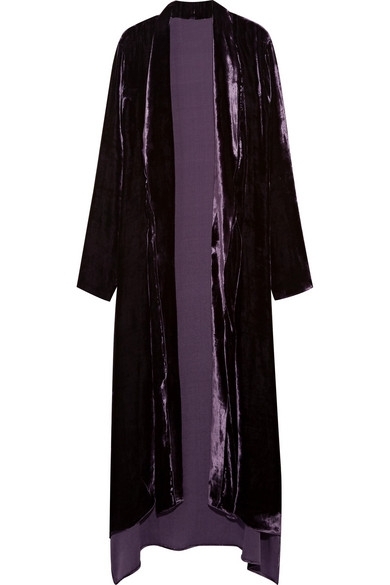 What’s more lush than velvet in a deep purple tone? Dress-up or dress-down any outfit in your closet with this gorgeous jacket. Going into 2018, we could all use a little bit of humor in our lives, and this bath mat will do just the trick.